Do I Need a Lawyer After Suffering an Injury? No matter who you are, getting hurt or injured is a nasty experience for everybody. However, although some injuries can easily be recovered from, others can be more debilitating and can even end up being very costly when it comes to medical bills and time taken off work to get better. We’ve put together some top tips to help you determine whether or not your injury is worth hiring a lawyer for. When it comes to hiring a personal injury attorney, one of the first questions that you must ask is whether or not the injury or harm is going to be worth a good settlement. 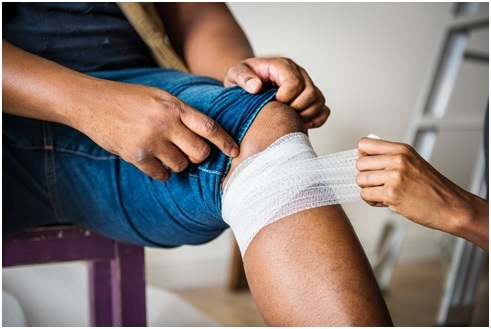 For example, if you have simply fallen over and grazed your knee, your chances of being awarded a lot of compensation are quite slim, even with a good personal injury lawyer. However, in order cases, for example if you have suffered a serious brain injury, broken a bone, lost a limb, or had to take time off from work to recover, hiring a lawyer is essential. #2. Do You Have Insurance? In some cases, you will not need to hire a personal injury lawyer as your insurance company will pay out, or the insurance company of another, for example your workplace or a driver who has been involved in an accident with you on the road. Although it isn’t guaranteed that your insurance company will always pay out, it’s important to make sure that you’ve researched your insurance options beforehand to determine whether or not getting a personal injury lawyer is worth it. Another factor to take into careful consideration when determining whether or not it’s worth hiring a personal injury lawyer is the legal fees and costs. For example, you may be able to gain the same amount of compensation in an out of court settlement, or through your insurance company which could be cheaper than hiring a personal injury lawyer. Along with this, it’s also important to consider how much it will cost you to hire a lawyer should you lose your case – will they still charge you a fee if you do not win? #4. Can I Self Represent? It’s entirely possible to represent yourself in a personal injury case, however, be aware that this only works for certain circumstances. For example, if you’re hoping to claim a few hundred dollars back in expenses for a small injury or want your employer to pay your medical bills for an injury you’ve suffered at work, for example, self-representation could be possible if you have the knowledge required. It’s a good idea to seek the counsel of a legal adviser before you decide to represent yourself. If you have been injured through no fault of your own, deciding whether you need a lawyer can be tricky. Asking these questions will help you to determine whether or not legal representation is the best choice for you. Drug DUI: How Is It Proved?